The revolt of December 2008 and then the « movement of the squares » in summer 2011 opened wide the door for the forms of organization and struggle encoded as neighborhood assemblies. We are talking about open collective proceedures of a self-organized character who tried to territorialize their political intervention at the neighborhood level in a stable public way. 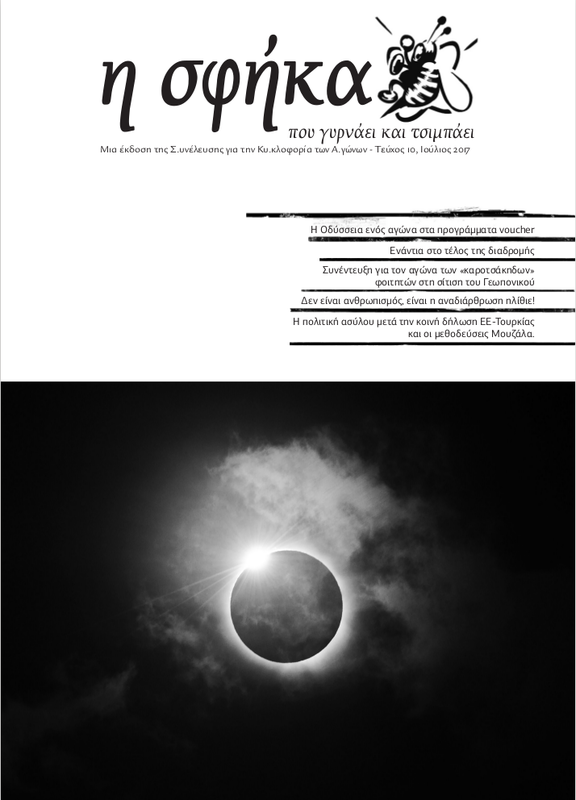 Here, of course, we will not try to write the story or expose the genealogy of the neighborhood assemblies in Athens, nor present all their political contents in 4.000 words. Our aim is to analyze the position of neighborhood assemblies in the cycle of struggles against the devaluation of labour and our lives in times of capitalist crisis and restructuring. In short, we try to figure out what are the positions of the neighborhood assemblies during the last years concerning the issues that have been posed by the immediate consequences of crisis/restructuring in the fields of social reproduction and the relation of exploitation. Let’s see, at first, what we mean by saying fields of social reproduction and exploitation. It is already known and directly experienced by everyone that the class of the exploited does not reproduce itself solely through wage as remuneration for her work. Our social reproduction -i.e. roughly speaking, to be able to survive everyday as social subjects- has a cost that depends both on direct wage (i.e. the money available to pay for rent, food, entertainment, etc.) and on indirect wage we receive from the government in the form of benefits and services (such as care, education, benefits, paid holidays, transportation etc.). Our level of social reproduction is the answer to the question « how do we get by? » what our needs are and how we satisfy them. This question is answered each time historically by what we demand and what we earn in the fields of direct and indirect wage. From early on, crisis had important consequences for our daily reproduction. Briefly, capital compels us to live with less (in terms of money and benefits) than we were used to live. At that terrain, the neighborhood assemblies gave struggles that directly touched the way we meet our needs collectively inside the suffocating environment of the crisis, about which we will talk in more detail below. All this of course does not mean that these procedures expressly defined themselves as such, i.e. as forms of proletarian activity and class recomposition. To my knowledge, this has not happened in any neighborhood assembly. Here then is raised the question of how we analyze things in which we participate. Marx wrote that we cannot judge a person by the opinion she has for herself; thus we cannot judge such an epoch of subversion from consciousness she has for herself. We would also add that we cannot judge a person by what she says, but (mainly) by what she does. So, this is where we start from, the act itself. We reach the above conclusions out of our experience and participation in struggles (what we do and how we do it), but also out of social and class composition of the struggles(who we are, men and women). So, this is a political interpretation and not a descriptive one, which is at the same time a political proposal for analysis and action. In short, we do not consider the mobilizations made by the assemblies simply as « political intervention, » but as a class struggles with their own contents, contradictions and limits. Also, we do not address the participants simply as « residents » (even politicized ones), but as a alive communities of struggle of the exploited that create social relations between them. Does this mean that we should not pay attention to what people say about themselves? In no case. But we must bear in mind that what they say, although important, is neither ultimate definition nor necessarily reflects what is happening in reality. To be more precise, how one talks about what one is doint is but a moment in a process of (self-) transformation. It is i.e. a continuous political stake that shows of how deep collective act and the collective discourse go. We think that this is a trap in which several parts of the movement fall: generally, when they grapple with the relation between the political and the social and, specifically, when they are discussing about neighborhood assemblies. The latter have often been criticized as being bourgeois or interclassist ones, that they have no real political content or that have no real « class consciousness”. We will not reply in detail here, but will confine ourselves to a few brief remarks. First, by using abstract ideological terms, one cannot judge open social processes that include both politicized militants and wider parts of the class that are being politicized for the first time. Second, even if, theoretically, the conditions of constituting of the assemblies allow (i.e. they do not explicitly prohibit) the participation of micro-bosses, in practice we see that this is not the case. That is, there is something that prevents or actively discourages their participation. And this is that, third, if we look at the cycle of class struggles in recent years at the levels of work and reproduction, we see that the neighborhood assemblies have involved themselves in this cycle far more than the vast majority of collective political subjects (many of which, despite raising the flag of « class consciousness », are used to watching struggles from a safe distance and with « proletarian » binoculars). And finally, if we await the subjects of the struggle to speak the ideological or theoretical language of class struggle, we will end up considering as « proletarians » and « holders » of class consciousness only those who agree with our political views and not those whoactually develop competitive activities against capital and capitalist social relations. Demanding struggles like the ones against property tax on electricity, transport and healthcare cost increases were forced to step on two boats. On one hand, there developed a logic of direct action and (almost) daily mobilization by the assemblies; and on the other, there emerged a peculiar logic of delegation that stemmed from the stakes of the struggle. In other words, while the assemblies were mobilized in a daily base for these struggles, in which the call for participation was open and public, many people treated them as the « Robin Hoods » who would come and solve their problem, although in a direct and militant way. This became particularly evident in the case of the property tax when, while there had been very many emergency calls for reconnecting the electricity current, much less people joined the assemblies. But it would be superficial if we did not pay attention to the way these two dynamics were combined. And it would also be superficial if we were only to stick to the conclusion that “this is the way it is, people want everything ready ». We think that there was something in the way we acted that did not create but in some cases intensified the delegation. From the part of the assemblies, activism and propaganda-by-acts often seemed to prevail over the discussion on the specific tactics and strategy that would lead us to victory. Most of the time, we called people to engage in civil disobedience and refuse to pay without considering the way to effectively confront the state itself in order for these struggles to win and without searching for these processes that would allow us to create real relations of struggle with the rest of the exploited. How do we form communities of struggle that would include more people than us? This question has remained largely implicit -or answered by a simple « let them come to the assembly. » And here there also lies another issue about how open our procedures really are in order for them to become really massive by people coming to meet their needs in a collective way. Moreover, since these struggles revolved around state agencies, we never seriously explored the way we could connect with the employees of those services, beyond their trade union bureaucracies and corporative structures, and jointly attempt to block restructuring both as employees and service users. One such bet was the connection with transport workers during winter ‘10 –‘11, when they themselves were also in struggle, which did not move beyond some already existing political relations. As far as solidarity structures (kitchens, bazaars, clinics etc) are concerned, things are even more complicated, since the absence of real debate on their content led them to a major crisis or demassification and, in several cases, to dissolution or integration. Although they were and are important daily spaces of sharing and socialization for the assemblies, more often meeting the needs of participants in the first person was not their beginning. Instead, they were trying to fill the gaps created by the collapsing welfare state whether they had it as their goal or not. In short, instead of orienting themselves to meeting the needs (material reproduction and socialization) of the community of struggle, they were trying to address “society” in total in a general and abstract way. This causes a number of issues to emerge. First, that our assemblies can not fill this gap of social reproduction even if they want to. Second, “ society” always chooses, ultimately, those who do it best (i.e. those who have infrastructure, money and support to do so) like the municipalities, the church, the NGOs or in some cases even the fascists (only for the Greeks course …). Third, we end up offering unpaid work for areas of social production from which the state withdraws itself instead of demanding the extension of the social wage in a militant way and with a class content. That is, instead of constantly demanding more terrains from the state on the basis of satisfying our collective needs and of changing the balance of forces against the existing relations of exploitation, we often end up reproducing logics of “volunteerism in humanitarian terms” even if this is not our intention. We think that these contradictions of the structures of solidarity are the reason why, to some extent, the latter become forms self-managing of poverty on a small scale. Also, it is no coincidence that any of the structures that were not related to assemblies with more clear anti-institutionalist or antiauthoritarian characteristics, quickly tied themselves to the political chariot of SYRIZA (in forms such as « solidarity for all »), seeking political legitimacy and indirect government (now that SYRIZA came to power) financing. Turning now to the field of workplace struggles, we see that the local groups, squats etc have accumulated a quite significant experience of conflict with capital concerning specific class stakes in many areas of the private and public sector. In a way, this suggests a qualitative overcoming of the way that the political forms of the antiauthoritarian milieu have been traditionally involved in class struggle, that is by the general and abstract ideological condemnation of wage slavery without territorializing in specific struggles and with no connection to wider parts of the class. The neighborhood assemblies, on the other hand, usually in collaboration with trade unions and collectives in many cases committed themselves in terms of daily struggle in direct workers’ demands. There are many examples. 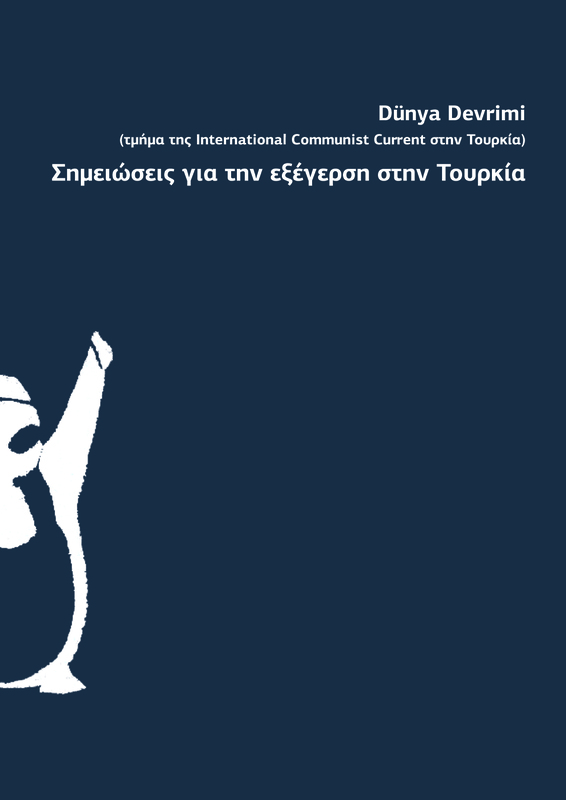 In the private sector, they mainly engaged in struggles to claim unpaid wages, such as at the private educational institute Anelixi in Ilioupoli, at the ACS courier office in Alimos, at the fast food restaurant Gamato in Zografou, at the bookstore Euripides in Halandri, at the Scherzo café in Maroussi, at safeguarding the strike at Wind mobile telephoning, at AB supermarkets in Holargos and several other cases that are beyond our reach or that we do not know at all. It should also be noted that the neighborhood assemblies lifted, along with the base unions, a very important part of the weight of showing solidarity to the strike of Chalyvourgia steel company and of the struggle against the abolition of the Sunday holiday; both by participating in the central calls for strike and by blocking the operations of stores at the local level. 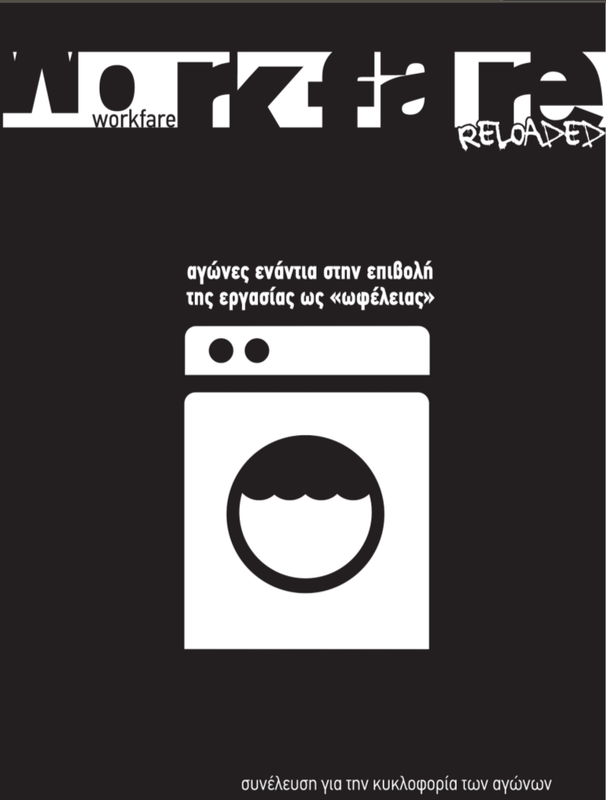 In the public sector, on the other hand, there was a strong participation of local groups, squats etc from the eastern part of Athens in the strike of the administrative staff of the University of Athens against lay-offs and mobility, in the safeguarding of the University campus during the strike and in the mobilizations of the same period that were made ​​in common with the employees of the subcontractors responsible for feeding the students living at the campus. 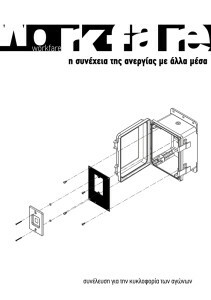 Furthermore, several assemblies were involved in the protests against « charitable » interim work for the public sector, as in the case of the municipality of Kaisariani and in the protests outside at the headquarters of the state unemployment service in Alimos. In these struggles, although there were significant differences between them, the neighborhood assemblies usually appeared as people expressing solidarity, while the priority lay in the side of the unions or the workers’ collectives. This opens an important issue. My opinion is that, on the one hand, this impression is superficial concerning the reality of the struggles themselves and, on the other, that the very same identity of “someone who expresses solidarity” mystifies the content of the participation of the assemblies in these struggles. We argue that many of these struggles would not have been able to be made (or won) without the direct involvement of the assemblies and that the identity of “someone who expresses solidarity” in many cases did not allow the assemblies to link themselves as class communities of struggle in a direct and effective level with the workers. Let’s take it from the beginning. In most of these struggles, especially in the private sector and in those that the writer of this text had direct involvement, solidarity assemblies were formed that usually consisted of the individual worker or workers, the respective sectoral trade union or workers’ collective and one or more neighborhood assemblies. Whenever a struggle is given, what immediately at stake is who are supporting it i.e. commit themselves at a daily basis. This is not a technical issue, i.e. in terms of thw quantity of those participating, but a political issue. In many cases the assemblies appeared as « the local reserve army of solidarity », while in fact they took the everyday process of the struggle on their backs: constructing relations with the employees at the neighborhood level, socializing and opening the struggle to the local level, massively participating in local mobilizations. This is where we discern some of the objective and subjective weaknesses of the traditional trade union representation of the class, even in its self-organized version. Despite the militant and useful experience of the base unions in industrial action, we need to answer honestly the question of what ultimately makes a struggle win or at least being given in real terms. What processes are in the place to intervene effectively at the workplace? Can this intervention be solely of a sectoral nature or does it need broader social and class contents? Who actually exercises real pressure at the labour inspectors or during the blockages of economic activity, ultimately the official form of the union or the massive presence, the determination and the connection with broader parts of the class who live or work in the area? These questions do not suggest an answer saying that the neighborhood assemblies can substitute intervention in workplaces; of course this does not mean, though, that unions are necessarily able to do so themselves.